Photography website 1x recently published its annual yearbook. As they have with the previous yearbooks, “Visions” features a varied and visually stunning collection of photographs. most exclusive online photography galleries. Unlike social media sites like Instagram, each image on the site is carefully selected by a team of 15 professional curators. Only around five percent of all photographs submitted to 1x are actually approved for publication. Given the high bar, 1x’s photography collection rivals many professional art exhibits. According to the website, many photographers whose works now hang in art galleries were originally discovered on 1x. “Visions” includes 244 full-size photos, all of which are beautiful. They come from a wide variety of genres and include everything from landscapes to architecture and underwater to portraiture. You can view samples of the images on the 1x website. Some of my favorites include “Fork” by Doris Reindl, “The Red Roof by Bragi Ingibergsson, and “Madrid Metropolis” by Juan Pablo de Miguel. In addition to the impressive photographs, 1x yearbooks are known for their top-quality stochastic printing. The images are printed on multi-art glossy 170-gram paper, and the book features a hard cover with soft touch lamination. The quality far exceeds any other coffee table book you will buy. Just like its online galleries, 1X makes its books extremely exclusive. 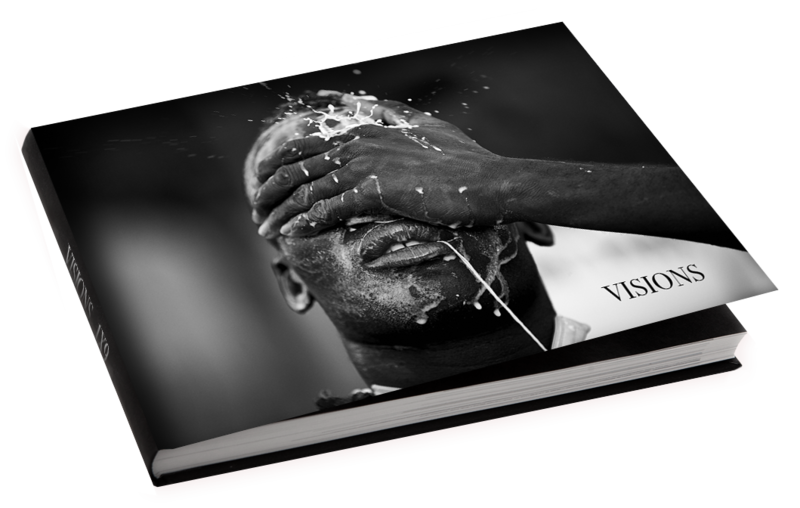 “Visions” is a very limited edition, with only 500 copies published. In fact, the yearbook was so popular this year that it has already sold out.